The VOXBOX is one of the most impressive pieces of gear in the Manley line, released two decades ago and reviewed by producer/engineer William Wittman in our October 1998 issue. Unlike other Manley stalwarts like the SLAM!, Vari-Mu, Massive Passive, and others, I have never had the pleasure of using a VOXBOX in person. Luckily for me, the folks at Universal Audio chose the VOXBOX as their latest piece of modeled Manley gear for the UAD-2 effects engine. As she did when we reviewed the UAD-2 Massive Passive EQ plug-in (February 2015), EveAnna Manley was kind enough to send us a hardware VOXBOX for side-by-side comparisons between it and the new plug-in. True to form, the team at Universal Audio painstakingly modeled every element of the VOXBOX, from input stage to output stage and every tube, transformer, resistor, VU Meter and opto-cell in between. 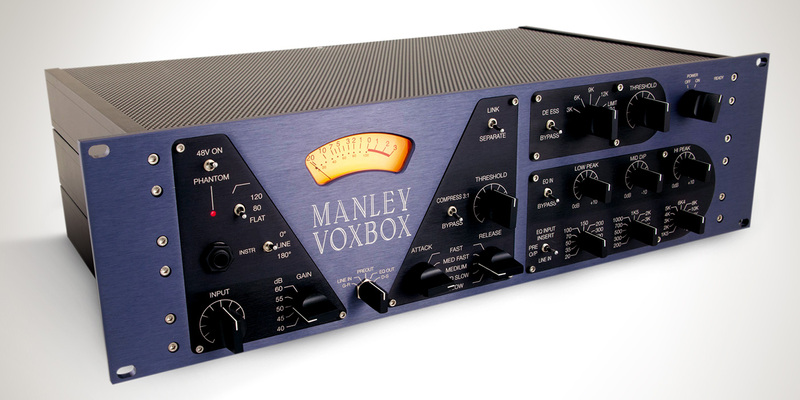 The Manley VOXBOX Channel Strip Plug-in runs exclusively on the UAD-2 DSP accelerator system, including all UAD-2 PCIe cards and Satellites as well as the company’s UAD-2 equipped Apollo interfaces. When using one of the microphone preamp-equipped Apollo units, the VOXBOX plug-in can take advantage of UA’s Unison preamp technology and one can use the microphone preamp section of the VOXBOX while tracking in real time. With a few minor exceptions, the software and the hardware VOXBOX are completely identical in look and function. I will highlight those exceptions when applicable below. The VOXBOX is a channel strip. While they’re common in 2017, twenty years ago most channel strips were still found in the place where they derive their name, on a mixing console. I still think William Wittman’s assessment from back in 1998 holds true, that the VOXBOX “blows away the input strips on all but the most carefully selected consoles.” The VOXBOX hardware is a 3U rackspace device made up of four sections: Preamp, Compressor, EQ, and De-Esser/Limiter. In use and control, each section is fairly minimal on its own, but the sum of the parts adds up quickly. Inside the unit are a pair of 12AX7/ECC83 tubes and a pair of 6414 tubes, along with the highest quality switches and components. I interviewed EveAnna Manley back in October 2015 when reviewing the Manley CORE Reference Channel (which is kind of a baby VOXBOX) and she had this to say: We took everything to the Nth degree in the VOXBOX. It was designed to be the most badass unit…” She wasn’t kidding. One of my favorite traits of Manley gear is how each section has its own sound and architecture, and this is what I also appreciate about vintage console design and how companies like API design their gear. There are transformers on every input and output, rather than every section sharing circuits, tubes and transformers. This yields a richer compounded sound when you put them all together and allows the various sections to stand on their own when used individually. Note that while there are four processor sections on the unit, as it applies to physical routing on the rear of the hardware there are actually only two. The compressor and preamp are one section and the EQ, de-esser, and Line Amp out are in the other. The hardware also includes an additional audio insert, and both the compressor and de-esser can be linked individually. Similar to what we saw in our CORE review, the VOXBOX has a few interesting attributes that need explanation. First, the compressor section comes before the preamp section. As with the CORE, this does not imply that a full-fledged compressor lives before the preamp; they share the same circuit path, with the compressor’s Vactrol photocell coming first in the chain and keeping the incoming signal from distorting and clipping the input. Second, the input control in the preamp is not a gain control, it is an attenuation control that is wide open at full and brings the signal down as it moves counterclockwise. It does not boost the signal, it makes it quieter. The preamp section is on the left of the box in the first of four triangular sections. On the hardware there is a 48V phantom power switch at the top, which is replaced by “power” (bypass) on the plug-in. Next up a High Pass filter with settings of Flat, 80 Hz, and 120 Hz at 6 dB per octave. Another hardware-only feature is a 1/4” instrument input (phenomenal on direct bass), with a 3-position toggle switch with settings of 0˚ / Line / 180˚. This flips the phase when used with the microphone input or selects line input when centered. 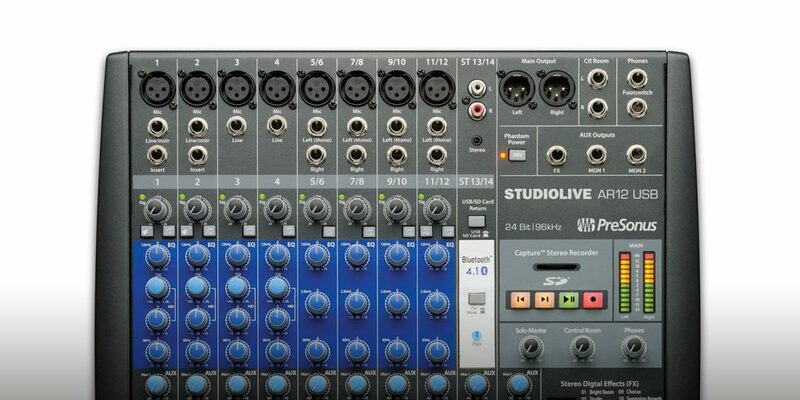 On the plug-in these are replaced with a dedicated mic / line selector and a 2-position phase control. Below this is the aforementioned variable input attenuator, and to its right is a stepped gain control that is also not what it seems. Rather than being a pad control or secondary level selector, it controls negative feedback, which does have an effect on gain, but also transient accuracy, noise, and clipping as well. Think of this as the “tube grit character” switch of the VOXBOX. At low settings the unit is clean and opulent and it gets a little more hairy and edgy when pushed. Note that like all Manley tube gear, even when pushed hard, the unit is still quite clean and musical. This is not an overly vintage, dark gritty tube box at any setting. The slightly off-center LED backlit VU meter dominates the front of the unit. Its multi-function switch allows it to look in on: Gain Reduction, Line In, Preamp Out, EQ Out, and the D-S circuit. The compressor is an opto-style tube compressor with stepped attack and release settings of Slow, Med Slow, Medium, Med Fast, and Fast. Rather than getting into specific numbers, just note that this compressor can be very, very slow or very, very fast and clampy. The manual gives some great “preset” examples, as does the plug-in, of course. Next is a Threshold control, which clamps down harder when turned clockwise. Per the manual, there is no makeup gain on the compressor and the threshold is post input attenuation, so both controls need to be adjusted in tandem for optimum use. The ratio of the compressor is generally centered at 3:1 as noted on the bypass control, but in use it is program dependent and non-linear. At the top of the compressor section is a toggle switch for linking the thresholds of a pair of VOXBOXes for stereo use. This is also available on the plug-in, although when used in stereo, the VOXBOX plug-in still appears as a single-channel unit. Often engineers like to use two compressor units in stereo, unlinked, which often yields a wider stereo image. The UA plug-in works just like this; while you can’t tweak two units individually on the plug-in, you can still unlink the left and right thresholds in stereo. The equalizer section is based on a classic Pultec MEQ-5, but with more frequency choices. It is a 3-band EQ with 10 dB of low and high boost and 10 dB of mid cut, each with 11 frequency choices. It’s a passive EQ; there are no tubes, transistors, or active components in the signal path. As with a classic Pultec or the Massive Passive, the bands are great on their own, but the magic happens as they cross and interact with each other. In the EQ section on the hardware, there is switch to alter the routing of said section and access the rear insert. On the plug-in this has been changed to XFMR IN and is (sort of) a software-exclusive feature, allowing you to bypass the VOXBOX output transformer for a clearer, more open sound. I say “sort of” because this can be accomplished on the hardware, but only by using the rear 1/4” unbalanced line output. This section is also an opto-based compression circuit with its own Vactrol cell. 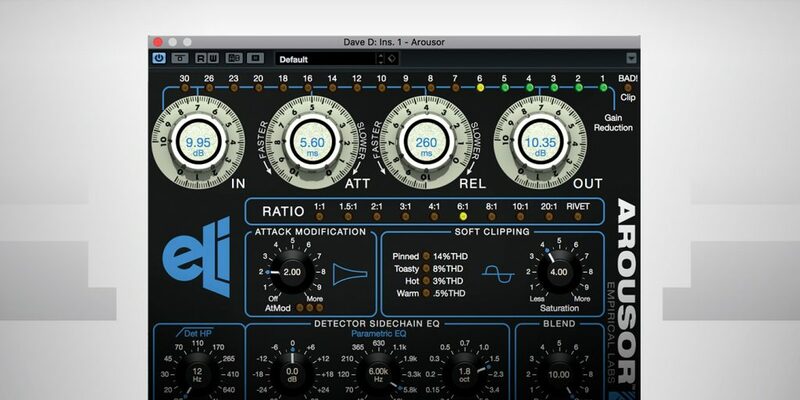 It can be set as a 10:1 hard limiter at the end of the chain, or as a transparent and gentle de-esser. In this mode it marries the opto-cell with a passive notch filter with stepped frequency selections of 3, 6, 9 or 12 kHz. The last control to mention is a software-only feature, an output attenuation knob with settings of –60 dB to +12 dB. 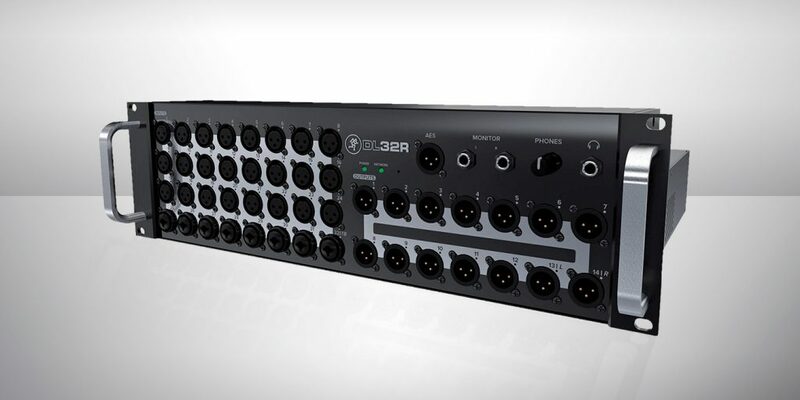 This helps keep the plug-in from being too quiet or clipping in the digital arena. In my studio, the hardware VOXBOX found its way onto every session the moment it arrived, most obviously and often for vocals (I wonder why?). Lately I have been in a phase of dialing in my sound on the way into my DAW vs. post processing, and with the VOXBOX that’s a breeze. I also used the VOXBOX with its line inputs to process some vocal tracks that were recorded prior to its arrival. Sonically the the VOXBOX is very smooth, open, and opulent, with a tube character best described as “hi-fi”. Once you get the hang of the pre-compression, input gain staging, and feedback, it’s a breeze to dial in a great vocal sound quickly. All four sections work together masterfully to make vocals shine, but not sound heavyhanded or overprocessed. Eventually I moved on to using it to track and mix direct bass, at which it also excels for similar reasons. The bass comes alive, but still sounds natural and never overbaked. I had similar results with miked acoustic and electric guitars and percussion. At my day job as a tech director at a church I daily use the Apollo Twin as my interface for voiceovers, demo songs, service music, and more. The Unison VOXBOX preamp quickly became one of my two go-to virtual preamps, neck and neck with UA’s excellent Neve 1073 emulation. Just as with the hardware, I often found myself tracking to “tape” through the compressor, EQ, and de-esser sections. So, how close are they? I tracked a song with male vocals, acoustic guitar, cajon, shaker and tambourine through a pair of matched condenser mics into the Apollo Twin, with channel one being the hardware unit and channel two the Unison plug-in. For this test it was with just the preamp section engaged. I was floored by how close they were; honestly, the usual “air and dimensionality difference” was very slight. On the other hand, I also did a DI side-by-side with direct bass guitar and this yielded the biggest difference in all of my side-by-side tests. Here the sound of the bass in the hardware was more open and natural, while the plug-in was slightly boomier and saturated even though input levels were matched. I am not sure why the mic pre was so spot on and the DI was not, other than maybe a headroom issue. Note thatthey were still well in the same ball park; I am just being very nitpicky about a 10% difference. I used both the VOXBOX plug-in and hardware in mix sessions, on a host of mono sources from acoustic and electric guitars and bass to vocals and snare drum. The result was very similar to my experience with the Massive Passive plug-in; in a mix it is almost impossible to tell a difference between the two. Universal Audio really gets Manley gear. So far, these are some of the closest hardware/plug-in emulations I have heard and used—quite impressive all around. The VOXBOX is one of the most amazing channel strips I have ever heard and used in my studio life, bar none. As much as I wish I could the hardware VOXBOX in my studio, I am happy that I can still access its goodness virtually with the plug-in, especially for mix duties. Bottom line: both the hardware and plug-in are a joy to use.